I've started back up with the It's Monday! What are you reading? meme. I also posted some itsy-bitsy mini reviews of 4 books I read at the end of 2014. (Saga, North of Boston, etc.) You can see my (incredibly short) Bloggiesta to do list here. I'm nearing the end of All the Light We Cannot See by Anthony Doerr. It's superb and I don't want it to end. My 2015 reading has started off marvelously! Knock on wood. After Gina Rodriguez's win at the Golden Globes for best actress in a comedy series I decided that I needed to watch Jane the Virgin. It's such a fun show! I'm putting off the last few episodes of Star Trek: The Next Generation because I don't want my rewatch to come to an end. Sob! I am incredibly excited to participate in Amanda's (Fig and Thistle) Valentine Swap for Book Lovers. Join us, won't you? Do you watch Jane the Virgin? 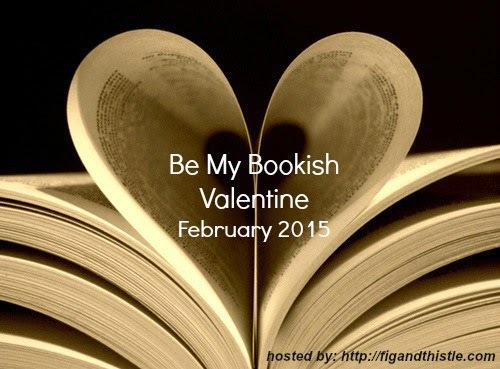 Are you joining in the Bookish Valentine event? Have you cooked anything yummy lately? Tell me, tell me! I'm so glad that you're enjoying All The Light. Totally not what i expect and thoroughly delightful. My reading year has gotten off to a slow start. I think i'm just going through a bad phase. It will pass. I hope. That honey garlic chicken looks amazing - I saved it and hope to try it soon! Glad to see you liked Dead Wake - I've got that on my Kindle..can't wait! I've read many positive comments about All The Light We Can Not See. I'm glad you are enjoying it. Have a great week. Oh, I lovveed All the Light We Cannot See! So glad to see you're enjoying it - those short chapters make it hard to turn away. I love that you're hopping on a new TV show, too! I have a friend who loves that show, but I haven't tried it out yet (I'm obsessed with all the dramas - we're watching The Honourable Woman on Netflix right now). It always seems like I start off the year reading some fabulous books. I stalk blogs at the end of the year and save all the recommendations from Best of lists. I love making broccoli and cheese soup, and I am going to check out your honey garlic chicken recipe. I'm glad your reading year is off to a great start! I want the broccoli Cheese soup recipe, and we love having lots of soup leftovers too. I need to read All the Light We Cannot See, I've heard all good things. I'm in on the Valentine Swap for Book Lovers!! I think you have single-handedly increased the number of recipes I want to make, and I'm perfectly okay with that. 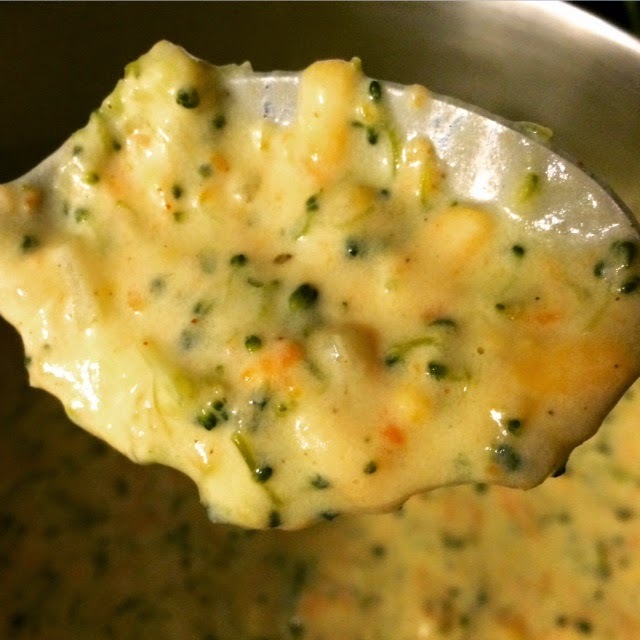 Broccoli-cheese soup just made my recipe list for next week! My favorite soup! Don't know why I haven't tracked down a recipe for it yet. But I made a wicked good potato soup thhis weekend! Yay for good reading so far too! You're killing me with the soup pictures! I made chicken barley last week. I'm considering making tomato this week, even if it is going to be in 70s. I think I should join up with the Valentine Swap. It looks great! Mini reviews are fantastic, aren't they? I think they are saving my blogging behind when it comes to books I read a while back and don't remember so well!